On Sunday, February 19th, Marc Kroon made it official: he is retiring from professional baseball. The right-handed pitcher played in 21 seasons after being drafted by the New York Mets in the second round of the 1991 First-Year Player Draft. In addition to the Mets, Kroon pitched in seven other organizations in the United States, including the San Diego Padres, Cincinnati Reds, Seattle Mariners, Los Angeles Dodgers, Anaheim Angels, Colorado Rockies, and, of course, the San Francisco Giants. 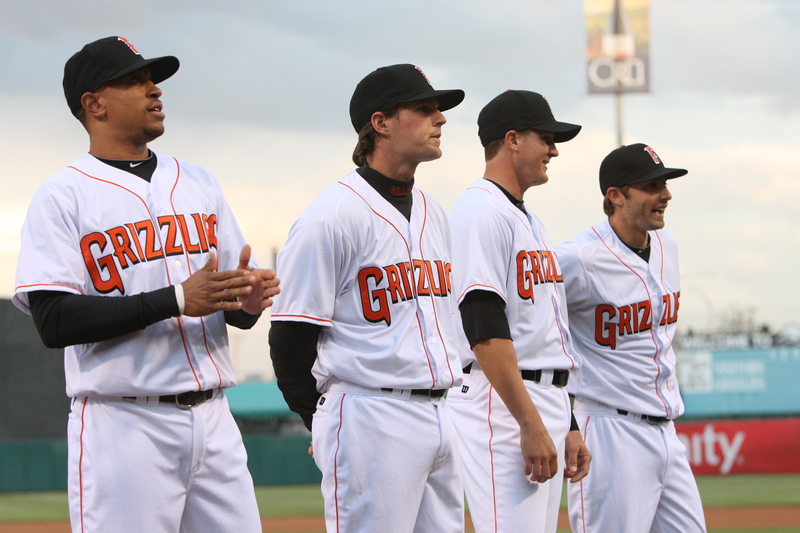 In 2011, Kroon notched 20 saves for the Grizzlies, which is third best in a single season for a Fresno pitcher in team history. The 20 saves, however, were only a small part of Kroon’s career. Between 2005 and 2010, the Bronx, New York native played in the Nippon Pro Baseball league in Japan. He spent the first three seasons with the Yokohama BayStars and the final three seasons with the Yomiuri Giants, registering 177 saves in Japan. For his entire career, in the U.S. and in Japan, Kroon had 266 saves. Kroon missed most of the 2000 season and all of the 2001 and 2002 seasons with a right elbow injury. He pitched in 26 Major League games in his career compared to 396 in the minors. While the ultimate goal of any ballplayer is to play a long career in the Majors, none of this should take away from a great career for Kroon. He played for the one purpose all fans follow baseball for: the passion for the game. This is why Kroon resonated with so many people. Fans recognized Kroon’s love for baseball and felt a strong connection with him. Teammates were happy to share a clubhouse with Kroon because none of them doubted his desire to win as a team. With the spotlight on him in the waning moments of many victories, the closer proved to those around him he was the right person for the job night after night. It is no wonder then that Kroon announced his retirement in true 21st century fashion by going to directly to his fans via Twitter. Many of his followers (fans and teammates) were happy to send Marc well wishes in his new endeavors, which just reinforces the type of teammate and person Marc was throughout his career. For as much time he has spent away from his family over the years, traversing not only the United States but the world for his occupation, Kroon will no doubt take advantage of his new time with his loved ones. 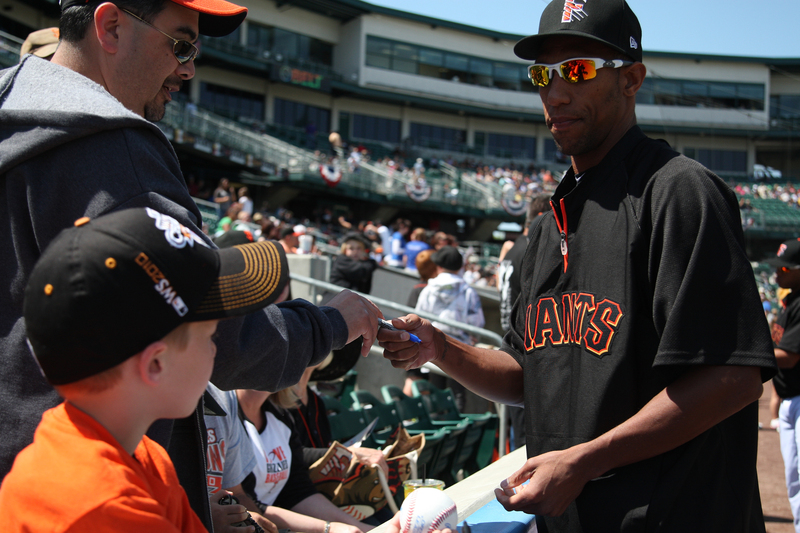 The Fresno Grizzlies wish Marc the best of luck in his post-baseball career. In recent months, Shaela Warkentin has become a household name in Fresno, but not by choice. The Bullard High School sophomore was the victim of a severe car accident on March 18th, 2011. Sixteen year old, Shaela and her sister were returning home from a youth group function when a truck rear-ended the Mustang she was driving. The accident left Shaela in critical condition, which resulted in a two month-long hospital stint. She received several surgeries to correct the damage done to her face and skull, but unfortunately Shaela lost sight in both of her eyes. Local businesses partnered with the community to help the Warkentin family with the unexpected medical bills. 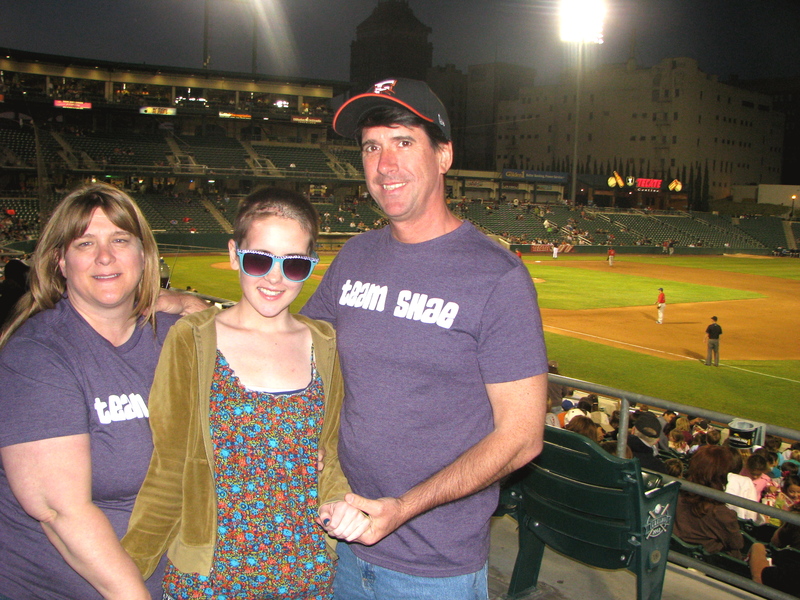 The Fresno Grizzlies caught wind of this opportunity and reached out to the family about a night dedicated to Shaela and her recovery. “I was telling my wife earlier you come sometimes and see things about other people but you never think its going to be about you, in a way its cool, but in a way it is sad,” expressed, Shaela’s father, Ken Warkentin. With support from the community and the hands of skilled doctors, Shaela defeated the odds and was released from the hospital on May 10th, 2011, just two months after the accident that threatened her life. She still faces a long road to recovery, but she continues to smile through it all. The organization invited Shaela, along with her family and friends, to enjoy a night at the ballpark. “We’ve come to games here before, but this is the first one she can’t see,” said Ken Warkentin. Shaela threw out the ceremonial first pitch on Monday, May 23rd, while her older sister Kylee sang the national anthem. Not only was the Warkentin family a part of the pre-game action, but a portion of the ticket sales went straight to Shaela’s account to alleviate medical expenses. The park sparkled with purple shirts that Shaela’s family and friends made to support her in the wake of the tragedy. “It is an incredible honor that the park would do this for us”, said, Ken Warkentin, in response to the Grizzlies opening their arms to his family. As Shaela took the field, the crowd began to shout words of encouragement to the young, now blind teen. She walked to the mound with her arm wrapped around her father’s, firmly clinching his wrist. She grasped the baseball with both hands, turning back at her father who had let go of her hand. 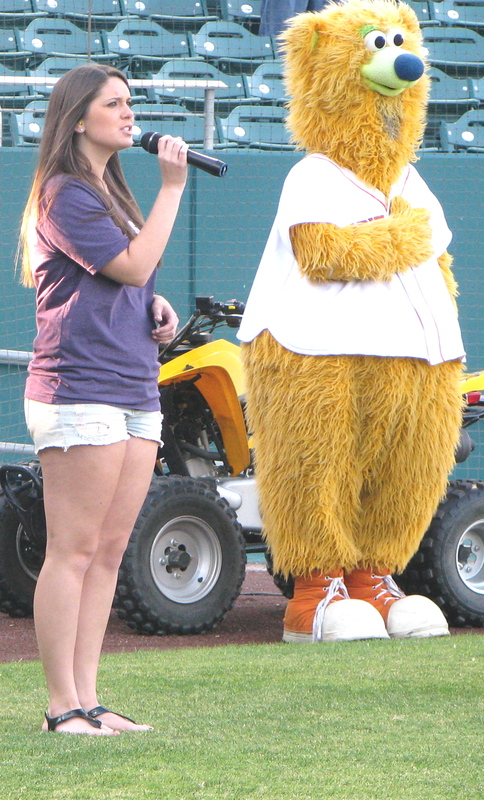 Shaela threw the baseball to Fresno Grizzlies closer, Marc Kroon, and immediately the crowd erupted into cheers. The ball bounced right before home plate, which is a remarkable feat considering Shaela’s injuries. “I feel so good, I was expecting a lot of this, so many people have talked to me, and said they are praying for me,” said Shaela after she threw out the first pitch. The Fresno Grizzlies were honored to host the Warkentin family on Monday night. It was an emotional night at the park for players, coaches, staff and fans. After catching the first pitch, Grizzlies closer Marc Kroon said, “ that almost made me cry” to his teammates as he headed back to the dug out. The organization will continue helping families in need, and reaching out to fans that have been so loyal to them through the years. Everyone at the Grizzlies wishes Shaela a speedy recovery and hopes to see her at more games in the future. 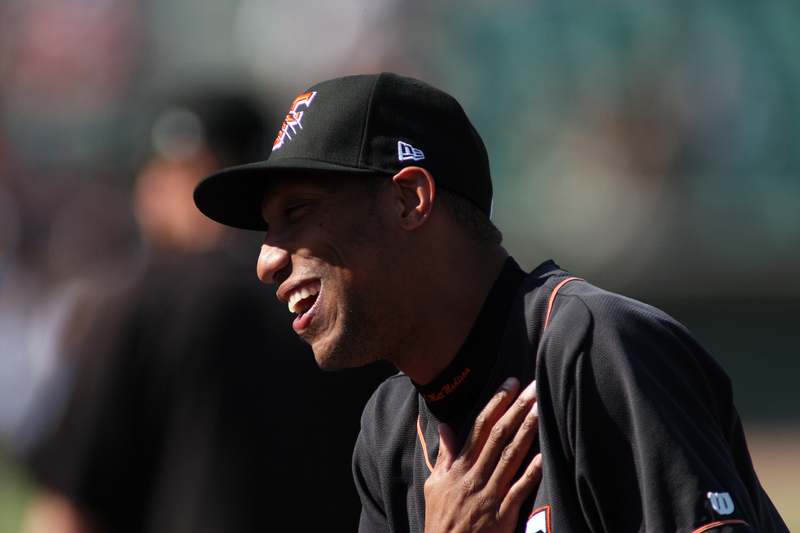 There are plenty of obvious factors contributing to the buzz surrounding the Fresno Grizzlies this season. Perhaps one can say that it all started last year. 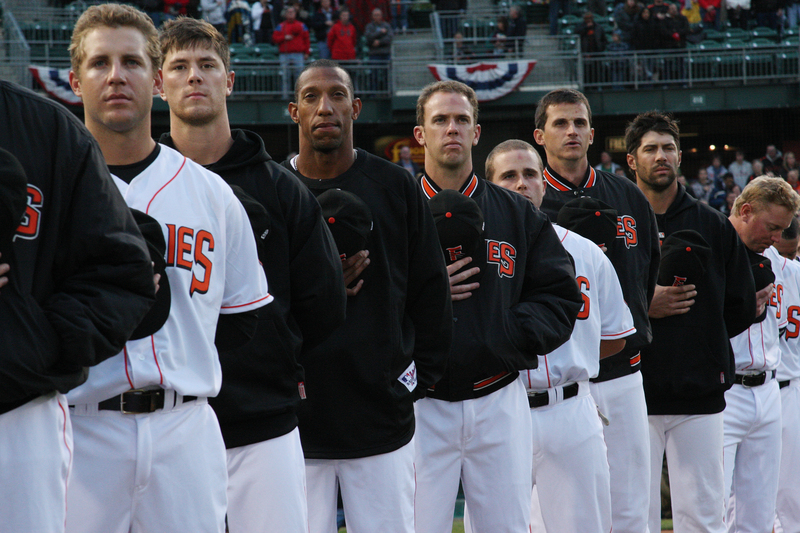 The 2010 campaign was one of the more successful seasons in the recent history of the franchise, and fan favorites Buster Posey and Madison Bumgarner were major role players in the Giants’ championship quest. Madison Bumgarner World Champion Bobblehead night drew nearly 10,000 fans to the ballpark this weekend, and the upcoming Buster Posey ROY/World Champion Bobblehead night is sure to draw a huge crowd as well. Grizzlies and Giants fans alike are now excited to see what is in store for the organization. One of the most talked about players would be top Giants prospect Brandon Belt, who is one of the focal points of the upcoming Showtime series, The Franchise, along with Grizzlies closer Marc Kroon. However, there are a lot of things the Grizzlies are doing to bring our community together that you may not yet be aware of. Friday, May 20th, marked the first of two “Pack the Park to Fight Hunger” nights benefiting the Poverello House, presented by CBS 47. Poverello House is a nonprofit organization here in Fresno that has been serving the hungry and homeless since 1973. 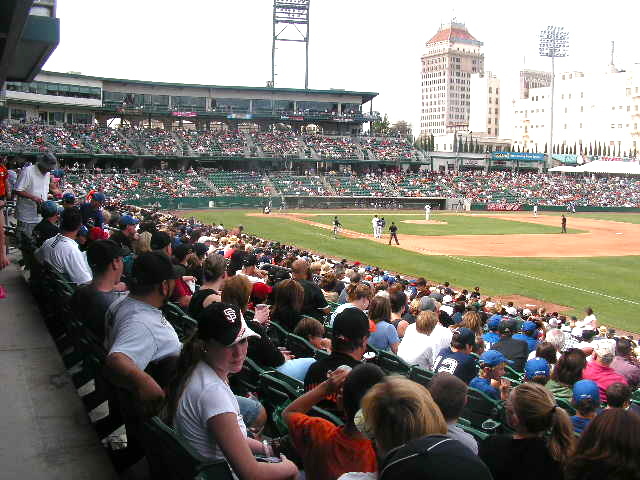 The residents of the Central Valley showed tremendous support, as over 9,000 people came out to the game. Many fans that showed up brought non-perishable food items in order to help the needy in the Fresno community and received a discount on their ticket for that nights game. In addition, CBS 47 recently put on a food drive of their own at the station’s studio and helped the Grizzlies spread the word in the community’s effort to fight hunger. Don’t worry if you missed the first night, but make sure you join us for the second and final “Pack the Park to Fight Hunger” night on Friday, July 8th.“Pack the Park to Fight Hunger” is a great cause, but it isn’t the only beneficial event that will be held at the ballpark this weekend. The Grizzlies are teaming up with the Red Cross on Sunday, May 22nd, to increase health awareness. During the game the Red Cross will have informational videos shown about CPR training, pool safety, babysitting precautions, and what to do in the wake of a natural disaster. As many already know, the Grizzlies make it their responsibility to have a hand in the development of young children throughout the Central Valley. The Hopes and Dreams Foundation will also join the Grizzlies on May 22nd in this mutual effort. The Hopes and Dreams Film Project helps children suffering from life-threatening illnesses, and those of active military and first responders, to find inspiration and joy through the magic of filmmaking. The Hopes and Dreams Project shot their first film, “Build a Better Fastball”, right here at Chukchansi Park this past January. The film will premiere on Wednesday, June 1st at 6:30 pm at the Sierra Vista Mall. 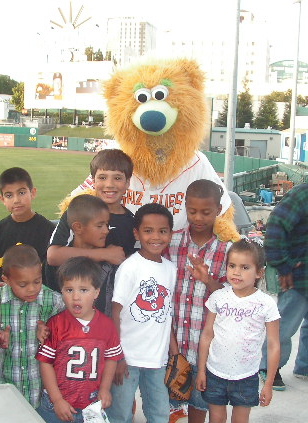 To extend the fun-packed weekend here at Chukchansi Park, the students that met the Wild About Reading challenge were invited to redeem their two free tickets on Sunday, May 22nd. Over 8,000 tickets were given to students that met Parker’s challenge of reading ten books over a five-week period. Wild About Reading is just one of the ways the Grizzlies continue to help in the development of young children in the Central Valley. Everyone in the Grizzlies family is more than excited about baseball this summer. But the Grizzlies and their fans are even more excited to use the sport as a platform to come together for the purpose of bettering our community. Make sure to keep an eye out for more beneficial events that will coincide with great baseball down at Chukchansi Park this summer.